The issues of her work—behavior, cruelty, ecological disaster and manipulation of information emerge as paradoxes rather than assumptions, in an almost fairy-tale fashion. Eva Davidova has exhibited at the Bronx Museum, the Everson Museum and the Albright Knox Museum in the US, and at MACBA Barcelona, CAAC Sevilla, Instituto Cervantes, La Regenta in Europe. 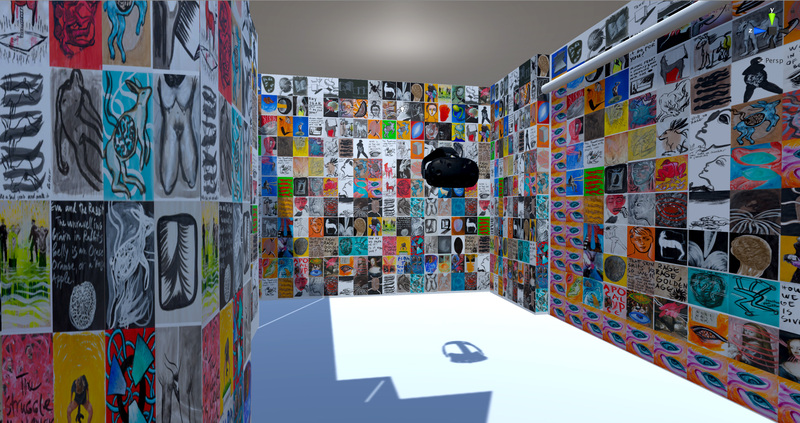 During DUMBO Open Studios, Eva Davidova will show the interactive VR installation “Global Mode. Narcissus and Drowning Animals”, in which uncertain, somehow absurd roles crisscross between the viewers, 3D virtual animals and a performer from the past, creating unexpected agency. Related works on paper and animations will be also on view in her studio.